The “Training Contract” at the end of Chapter 5. Great summary! A Kindle edition instead of just a PDF. While I can read a PDF on my Kindle, it is much more awkward. A little more editing. Sometimes descriptions or analogies are a little lengthy. A couple more videos like the Get a Soda video which show how to put behaviors together. Canis Clickertraining Academy, located in Norway, lists some impressive training credentials including competition (and 3rd place showing) in Norwegian national dog championships and over 20 years of training search and rescue dogs and dogs for military service. They credit their success to their method of clicker training which helps dogs understand which behavior you are training for. They offer a training system which includes a 200+ page e-book book, Clickertraining: The 4 Secrets to Becoming a Supertrainer and 4 bonus videos. The e-book is delivered as a PDF. The index breaks the training into 15 chapters, with additional reference and recommended reading included. According to the author’s notes in the Preface, the book was first written in 2001 and has been updated several times – with a copyright date of 2008. The book was originally written for a Scandanvian audience and has sold about 45,000 copies. The first few pages of the book are addressed to both the dog owner and, separately, the dog(!). The dog owner’s chapter realistically states that clickers are not magic, just a better way of training. It counsels patience and skill building. 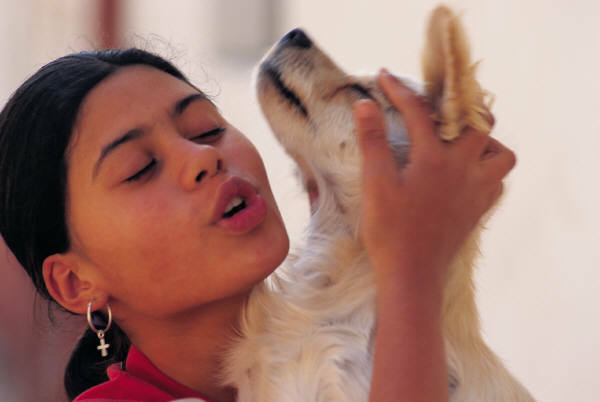 The dog’s pages humorously encourage the dog to be patient with their owners as the DOG is training the owner. The first couple of chapters discuss the history of clicker training and why it works. They define clicker training as having four core elements and then spend the rest of the chapter defining how those elements are the bedrock of the training theory. Unlike some trainers, they recognize that sometimes training is not just reinforcing good behavior. They talk about “firefighting” where you have to correct behavior and can’t simply wait around until there is something to praise. Part of their core beliefs is that the dog must offer the behavior on its own. While this seems counter-intuitive (How can I train the dog to sit if I have no idea if and when the dog will actually choose to sit?) they make a case for using a dog’s natural intelligence and curiosity to make the training more fun and actually faster. 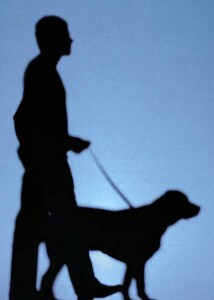 The dog has to think its own way through training rather than taking all its cues from you. The other key element they stress (which I find refreshing) is to stop trying to analyze what your dog is thinking! It’s just a waste of time and energy. Focus on what you can control which is your training technique. They give specific step-by-step ways to stop sabotaging your dog training and start focusing on success. This is where the meat (sorry – couldn’t resist) of the training program starts and they discuss the four specific secrets that make for a “super trainer.” The authors specifically address how crucial it is to train for the behavior you want, reinforce it, and repeat. They spend considerable time discussing how you can unintentionally sabotage your training by how you reinforce the behavior – and make a strong case for rewarding the dog for behavior that it presents rather than luring the dog into the behavior you are seeking. The authors give very detailed information on how to train for a behavior using their “80%” rule – and guidelines on how to adapt this to whatever you are trying to train for. They clearly help you evaluate whether your training goal is reasonable or whether you need to take a step back to achieve it. They also counsel flexibility in working with both the dog and the behavior – while also keeping their rules simple and to the point. Again, lots of specific examples and training exercises. There is an entire chapter on rewarding your dog – and it’s not just about bacon (my dog Monty’s fav treat) versus liver. The authors discuss the whole psychology of understanding what makes YOUR dog tick and how this makes a reward effective for training. They also talk about mixing up the treats to keep the dog engaged in the process. Great advice that is not usually covered in dog training courses. The authors discuss seven different training techniques, including their pros and cons. Helpfully, they also describe if a technique has some value in clicker training or why it is not recommended. Each technique is covered at length and at the end, a training game is presented. This amped-up version of the childhood game of “hot-or-cold” gives dog owners an interesting insight into training from a dog’s perspective. The sections on training aids is also fascinating. By using things such as sticks, Post-Its, and mouse pads, they show how to train for behaviors such as run out and run back, crawling, and more. There is a lot of detail here for people interested in training methodology. The authors sprinkle in a lot of stories about using training to teach their dogs tricks such as turning on light switches (service dog training), clearly this demonstrates the effectiveness of their training. The authors then move on to discuss controlling the behavior so that the dog sits when asked rather than sits when it wants. They teach you the skills to capture, name, and then reinforce the behavior for success – then encourage you to take your training to places where the dog might otherwise be distracted. Chapter 8 is where the book really begins as a training manual. All the pieces that the authors have discussed up to this point are put together in thoughtful, logical steps. This is where you begin to understand their rationale for training. What I found really fascinating here is how important it is to “protect the cue” so that the dog understands a single meaning and is never confused. Excellent points here. Chapter 9 takes what you have learned and teaches you how to put behaviors together (called “backchaining”). Their thorough explanation of the theory and application of backchaining is one of the clearest I have ever read. The section on “Testing” made me laugh – I can personally attest to dogs who have tried to beat the system! Who doesn’t want a dog who will reliably run after a ball AND bring it back? An entire chapter devoted to teaching this behavior. The authors break it down into logical, trainable steps, ensuring that you and your dog will succeed in mastering this behavior. Once you have completed and trained for each step, you will have a dog that is willing and able to retrieve whatever you throw AND faithfully bring it back. If you have tried to coax a ball away from a dog intent on playing keep-away with your, this chapter alone is probably worth the price of the book! Got a dog who can’t sit fast enough when you are training in the yard but can’t seem to understand what you want him to do when you take him on a walk? The authors discuss the process of training the dog in different environments and discuss the need to mix up the cueing so that your dog is rock solid regardless of where you ask for the behavior. Good advice born out of experience. Excellent and not often part of most dog training courses. They also discuss working with dogs who have had more traditional punishment training and how patience needs to be part of the program. Interestingly, they also discuss how trainers converting from traditional training to clicker training need to temper their own expectations and give clicker training a chance to work. The chapter on Syndromes made me laugh out loud a couple of times as I recognized my own behavior! While none are fatal, they probably would be funny if someone actually turned a camera on us and posted them on YouTube. The cures offered are at least as funny as the syndromes. Up to this point in the book, the training has (mostly) been theoretical – aimed more at teaching the trainer how to train than teaching the dog behaviors. Some people will skip ahead to this part and just start training, but that would be a mistake. There is a lot of good preparation that takes place in the first 136 pages of this book. The authors break training into 30 exercises, defining 18 as good manners and 12 as advanced or “impress the neighbors.” For each exercise, the authors provide a checklist which can be printed. 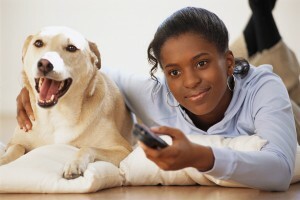 They break down behaviors into very small, achievable goals for the dog. For example, Training 1: Charging the Conditioned Reinforcer (aka the Clicker) breaks into 7 steps so that every dog can get rock solid on what the clicker means to them. Along with each training exercise, there are multiple training tips to remind you of the important goals of each training exercise. One of the interesting training exercises was teaching “Ok.” We have always trained our dogs to wait for “free” command before they can eat or get out of a car – but I thought we were a little controlling. Good to get some validation here! Another exercise that I found really counterintuitive is how they train dogs to behave politely instead of jumping up on company. My sister’s dog is sweet – except when people come in. Then she is a maniac for a few minutes, jumping and begging for attention. We have tried everything with her – kneeing her, ignoring her, leash corrections – and nothing has worked. I am going to start this with Gracie and will update this review in a couple of weeks. According to this training technique, we are only 6 steps away from a well-behaved Golden Retriever! The last few training exercises may seem silly (“Get me the hammer” “Fetch me a soda”) but when you break them down, what you are doing is learning to work as a team with your dog. Regardless of WHAT you are training them to do, you are communicating with your dog and teaching it to think and respond to your cues. The final chapter in the book summarizes and encourages owners to get out there and train. There is also a reference section which cites 16 original sources (most in English though 1-2 may be in Norwegian). There are 13 websites and links to books and a link to the author’s free newsletter. The training includes 4 videos which show training covered in the e-book. A fifth video shows an additional trick – a dog wrapping itself in a blanket. These are large .mov files. The site gives you a choice of a large file (about 30mb – 80 mb each) or medium files (16 mb – 44 mb each). The larger videos show a slightly better image and sound quality. Both sizes are more YouTube quality than hi-def, but they are clear and well-planned. Overall, they add a visual validation to the book – but the book is the main event here. Getting the Mail: Shows the gradual method of first handling the mail, getting it out of the box, gradually moving further away. About 10 minutes in length. Funny bit at about 4:15. Retrieve: Introduces the fetch toy (in this case a dumbbell) and shows the progression from taking it, to giving it, to fetching and bringing it back. About 8 minutes. Heel: Shows a puppy learning to stick by the left leg as the first step in teaching heel. Adorably cute and goofy puppy. About 5 minutes. Get a Soda: This is the most interesting video for me as it shows how to build complex behaviors by “backchaining.” Dog is taught 4 specific behaviors: open fridge, fetch bottle, close fridge, and deliver bottle. Each behavior is taught and reinforced separately and then then are gradually combined. Great demonstration of all the training techniques taught in the book. About 9 minutes. Roll in Blanket: This video was not available for download and will be reviewed at another time. Links on this site will take you to various partner programs. If you make a purchase, I make a little money or may receive something of value such as a juicy bone. My reviews of all products are my unbiased and honest opinion.